On more Saturday afternoons than not this month, I’ve watched swirls of snow blow past the blue door of our bookshop. The parking lots in town have small mountains of mud-encrusted snow piled in their corners, monuments to the length of this winter. At home, the firewood is running low, our freezer is nearly empty of the lamb we split with our neighbors back in the fall, and the local farmer’s market offerings have dwindled down to the last rutabagas from the root cellars. This has been a long winter, and everyone who comes into the bookshop looks a bit tired, drawn, impatient for spring and the promises that come with it. My favorite customer came in three weeks ago with his pregnant wife, her hair and eyes glowing, everything about her bursting with her own impending spring. Her husband is my favorite customer because he is my good luck charm—on the bookshop’s first Saturday he walked in and poked around until he found our poetry section. He gaped, not believing our little cache of modern poets. He revealed he was also a poet, had written his graduate thesis on Franz Wright. He’d grown up in town and I thought the presence of a local poet on one of our first days open was an auspicious sign. He came in this time after the Saturday farmer’s market at the Cooperage, across the street. His wife had e-mailed ahead, hoping I’d save a copy of the new Karen Russell, Vampires in the Lemon Grove, and he found the new George Saunders, The Tenth of December, on the shelf. The couple curled together while they wound through the shop, the way couples expecting their first child do, a subconscious protective stance, his body knowing how to be a father already. None of us knew it, but my good luck charm would lose his own father later that night. 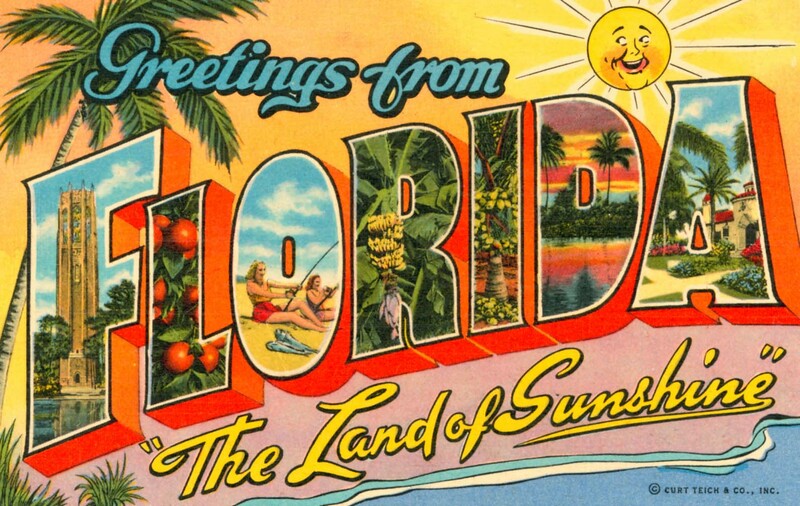 “Unexpectedly,” the obituary said, and “fifty-two years old.” They shared the same name. Poets are all about detail, and I wonder, will he always link Saunders to his father’s death? Will he read the book for comfort, to lift himself out of the depths, or will it sit unopened on his desk, some totem of misfortune? In a recent interview, Saunders talked about writing this new collection of stories from a place of luck, grateful for the love between him and his grown children, telling the interviewer: “Sort of like, Wow, I did not know that life could contain this much happiness.” I hope these stories bring some small comfort to our poet friend. I learned of the death by searching for the obituary of another friend. Our framer, Peter English, had died in his sleep from a heart attack that same week. 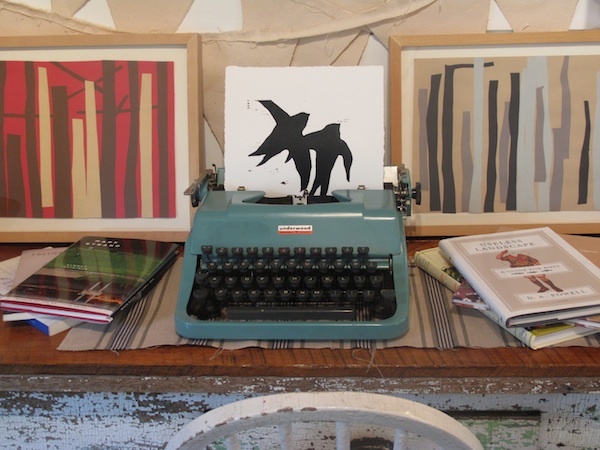 He was the favorite framer of most of the artists in the area—he’d framed a drawing show with thirty-seven works for my husband, Mark, and I recently had him frame two paintings by our three-year-old son. The last time Peter visited Moody Road Studios he dropped off some flyers for his frame shop and held Wolf Hall like it was a piece of treasure. He’d burned through it and missed the story so much he’d taken to searching online for more about the history and time period. His eyes lit up while talking about an NPR interview he’d recently heard with Hilary Mantel and he confessed to even having Wolf Hall–inspired dreams, losing himself in Mantel’s landscapes. The only thing I’d ever seen him more animated about was his own family. During an afternoon visit to our home last summer, the four of them—Peter, tall and gentle; his sassy Irish wife, Cathy, striking smile always flashing; his two unnaturally beautiful, elf-like children—seemed to move in a unit, fluid, always touching. Watching the family together was like watching a family of cats. At the bookshop that afternoon, Peter told me he hadn’t wanted to work weekends at his own business, that he preferred to stay at home with the kids as much as possible while they were young. And he did. He was always so concerned about squandering time with them. He worried they would grow up too fast—he didn’t realize he’d be the one leaving them. It wasn’t their childhood that was short, but his time with them. He had it backwards, but it’s as if he somehow knew. After Peter’s death, I listened to the interview with Mantel again. In it, she explained why she loved writing about the past so much. In her family, “the dead were discussed along with the living, and the difference didn’t really seem to matter … Instead of thinking there was a wall between the living and the dead, I thought there was a very thin veil. It was almost as if they’d just gone into the next room.” I had the same feeling at his wake, which happened to fall on his forty-ninth birthday. Peter wore a kilt; a string of rosaries wound through his fingers. The room was full of local poets and painters, photographers and printmakers, the same people who were always in his frameshop. Now, two weeks later, I still can’t bring myself to take his flyers off our table. Friends come in and hold them, the same way he held Wolf Hall that day. Books have a way of seeing us through these dark winter days. 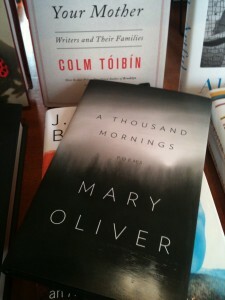 Another customer came in recently and found the new Mary Oliver, A Thousand Mornings. My husband was working and she told him she was buying it for a friend who was dying of cancer. She was going to the girl’s thirtieth birthday party in a few days. 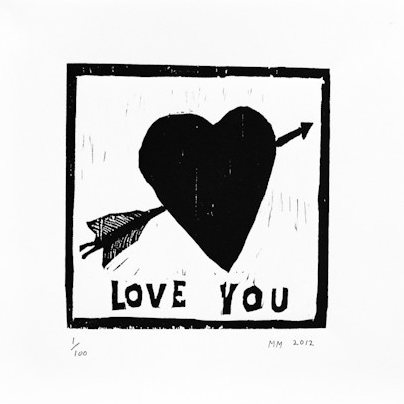 She’d thought about buying her friend a print, perhaps a heart or a flower, but poetry, she said, felt more right. disappointed?) for redbird to sing. By mid-March, finally, the snow begins to melt and the kettles and ice-fishing huts are cleared from the lakes. 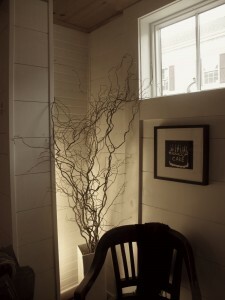 Our personal spending freeze, however, is not thawing—a few weeks earlier, my husband and I had agreed to hold off on more book orders, during a business breakfast at the diner down the street, where we write our meeting minutes on the back of the placemat. I start seeing only what’s missing on my shelves instead of what’s there, the books I can’t replace until sales pick up in the spring: The Shipping News, Emerson’s essays, The Secret History, Mrs. Bridge, The Marriage Plot, The Doctor’s Wife, I Saw a Peacock with a Fiery Tail. 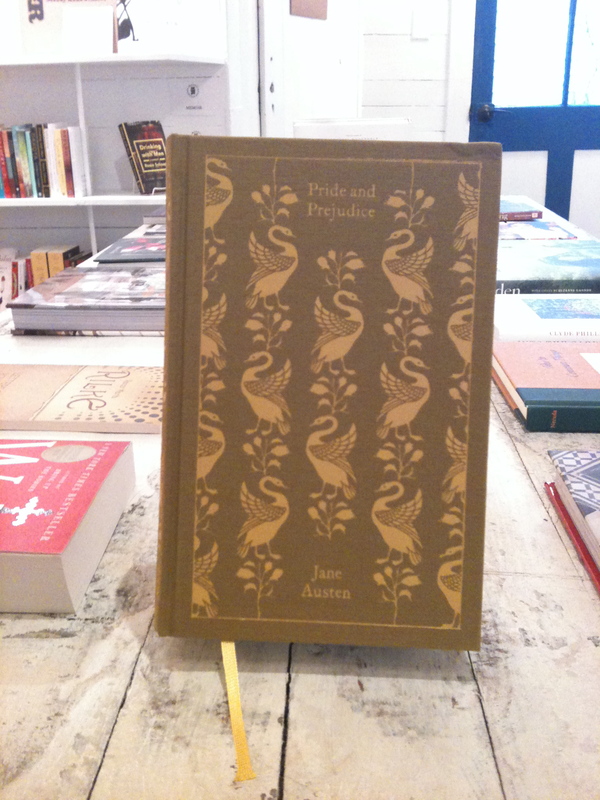 But then a librarian comes in and finds my special Penguin Clothbound Classics edition of Pride and Prejudice—she already has a copy, of course, but we both trace our fingers over the gorgeous woven swan wings on the hardback, sighing. She takes it. This morning, Bill from our neighboring Maude Alley store Milkweed comes into the bookshop and tells me he saw a red-winged blackbird at his feeder. The day is slow again and I think about Mary Oliver’s redbird as I rearrange the shop, putting out a few garden books, hoping to conjure spring. At the end of the day, after packing up and reaching for the light switch behind the desk, I look toward our little window here and am stunned—a few weeks ago, our friend Katharine Brown from Fox Hill Farm gave us a cutting from her curly willow tree to brighten the place up and now, impossibly, the branches have bent toward the window and at the tip of each slender stalk is a burst of green. There isn’t even any water in the vase. And yet, the cutting found the light and is trying to bloom.